The president's unusual move comes as he's trying to convince Congress to fund a controversial wall. Sens. 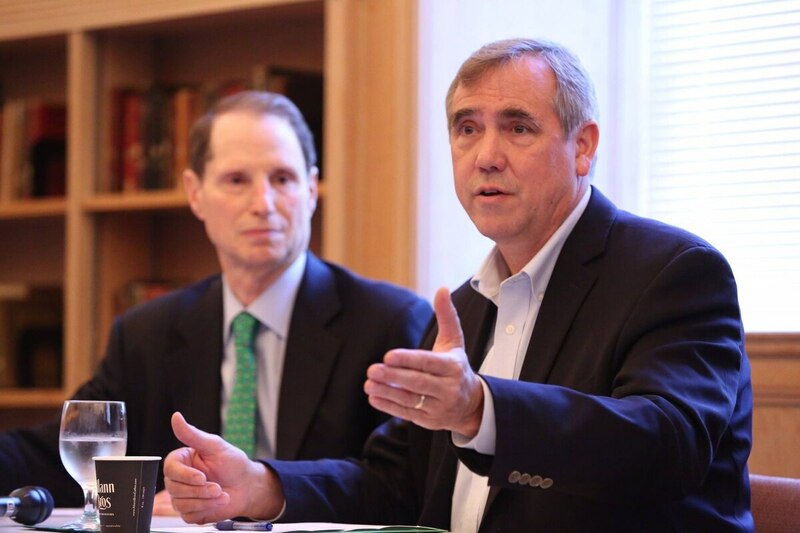 Ron Wyden and Jeff Merkley (D-Ore.) criticized President Donald Trump's decision to extend and enlarge the deployment of active-duty U.S. troops on the Mexican border. "With each iteration, extension, and expansion of this mission, less and less attention is drawn to the egregious misuse of our troops and their commitment to duty," the senators wrote in a Feb. 1 letter to interim the acting secretary of defense, Patrick Shanahan. "We refuse to allow the military to quietly and without reason become a law enforcement tool leveraged for political reasons and in violation of bedrock principles that separate military and law enforcement functions." On Sunday, the Trump administration revealed plan to deploy fresh troops to the border as part of the ongoing defense of what President Trump dubbed the "Invasion of Illegals" in a recent tweet. Though Trump remained vague about specific numbers, the Pentagon announced that close to 4,000 new troops would be sent to the U.S.-Mexico border. Though reports of troops starting to return home from the border increased in December and January, the Trump Administration announced it was extending the military mission to the end of January. The new deployment of added troops came three days after the scheduled end of the original mission. Prior to the midterm elections this past November, Democratic senators joined forces to challenge Trump's initial deployment of thousands of troops. In a letter to then-Defense Secretary James Mathis, they called the initial troop deployment "politically motivated." The addition of the new forces will bring the tally to 6,000 troops along the border, even as the President's stalemate with Congress over whether to fund a border wall continues. 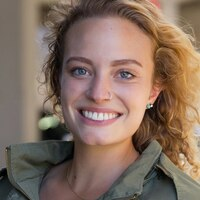 Sophie Peel is a Portland native who earned a Journalism degree from Mercer University in Macon, Georgia in 2018. She was a Couric Fellow with National Public Radio in Georgia reporting on education, politics and poverty. She returned to Portland in the fall. Her hobbies include cooking, skiing, grocery shopping at overpriced stores and reading.